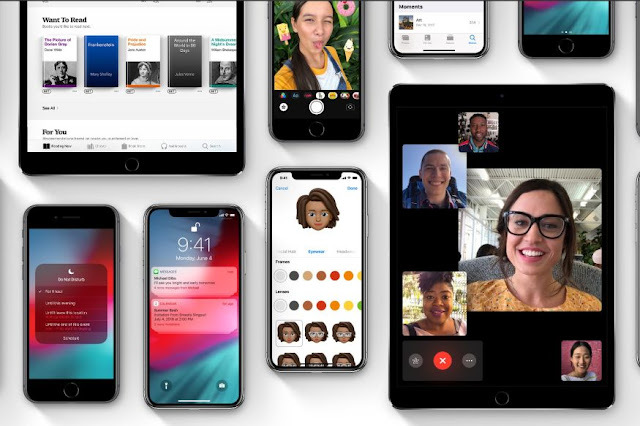 Apple has released the new version of iOS, iOS 12 as expected the OS brings lots of features and great experience enhancement. Today in this article we are going to talk about the 5 hidden features of iOS 12. You can now use a few iPhone X-style gestures on the iPad, no doubt designed to help ease the transition to Apple slates that don’t have a Home button but do have Face ID. A swipe up from the bottom of the screen (anywhere on the Dock) will now take you back home. You can also swipe down from the top right-hand corner of iOS 12 on the iPad to open the Control Center, as on the iPhone X. The older shortcuts and gestures still work, but you might find the alternatives more convenient (they don’t work on older iPhones though). If you’re using the same password across multiple services—something you definitely should not do—iOS 12 will warn you about it, as long as the details are in its password log. From Settings, go to Passwords & Accounts then Website & App Passwords to check. Perhaps not a game-changer, exactly, but something that’s going to come in handy if you take a lot of screenshots in iOS 12: The simple annotation tools that become available right after you take a screenshot now feature a broader choice of pen colors to work with. As normal, you tap on the thumbnail that shows up in the lower left-hand corner once you’ve taken a screenshot. If you then tap the color swab to the right of the pen tools, the last spot is taken up by a color picker, giving you access to many more colors than before. If you want to let someone else get access to your phone via Face ID, iOS 12 makes it possible (well spotted, 9to5Mac). Like the gesture controls we mentioned above, this seems like another feature setting the groundwork for Face ID arriving on the iPad. To get the feature working, go to the Face ID & Passcode screen from Settings, and then tap Set Up an Alternative Appearance to go through the face recognition process again. Note that you can’t remove this second face without resetting both faces at the same time. The iOS Camera app could already automatically detect QR codes and scan them for you before version 12 showed up, but there’s now a QR code shortcut in Control Center anyway—add it by choosing Control Center then Customize Controls from Settings. The shortcut doesn’t do anything except launch the Camera app (something that already has a Control Center button), so we’re not sure exactly what Apple is thinking here. Perhaps laying the foundations for a more enhanced QR scanning mode still to come?